Warm weather increases insect activity. Ticks, Mosquitoes and Fleas can be harmful to your family and your pets. If you have animals or live near a wooded area, it’s a good idea to have some information about these unwanted visitors. We’ve seen that flea treatment for yards can be hard to find. Note: ALL of Connecticut is at High Risk For Lyme Disease! Ticks, Mosquitoes, and Fleas are parasites that feed on the blood of their hosts. In the process of feeding, they can both transmit diseases. Some ticks carry Lyme disease. Ticks that carry Lyme disease often live in brush and wooded areas, but they can be brought to your property a number of different ways. We recommend 4 applications per year with a product called Pyrethroid Insecticide. We find this product to be very effective in ridding your property of these nasty pests and the diseases they carry. We target your ENTIRE property with a Pyrethroid, not just the lawn areas. It is an effective tick control and mosquito control method. Safeguard your home with Greenskeeper Lawn Care specially designed comfort zone applications. Spring service targets emerging adult, egg lying, females searching for a blood meal. Female ticks lay thousands of eggs. Late Spring service is designed to combat adults and nymphs seeking a blood meal that can transfer tick born Lyme disease. 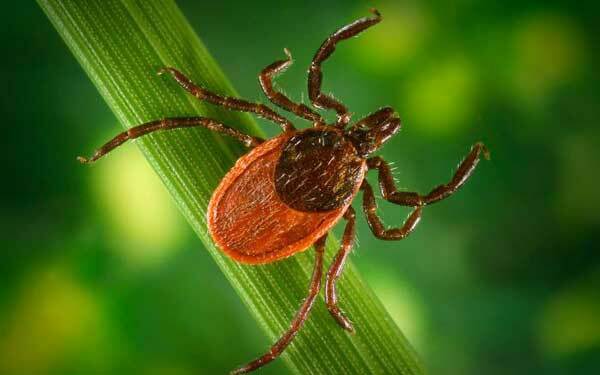 Summer service targets ticks that may be infected with numerous diseases. Ticks continue to feed on host animals and humans. Late Summer Early Fall service application targets assertive ticks that seek one more blood meal in order to survive throughout the winter. What areas do we spray? Greenskeeper comfort zone sprays targets the entire lawn, foundation plants, wood piles, rock walls, under decks, around playsets, and up to 30 feet into the woods. Special attention is given to high risk properties that abut fields and border wooded areas. Mosquito & Tick control go natural, totally naked! Mosquito & Tick applications are an option that Greenskeeper Lawn Care extends to our loyal Fairfield county clients. While our specialty designed comfort zone spray applications are more effective than the organic/natural options. We at Greenskeeper Lawn Care feel our clients deserve the right to choose an organic formula over a synthetic. Greenskeeper guarantees our natural blended formula of concentrated garlic cedar oils and a surfactant will control up to 80% of the mosquito & tick populations on your property. This natural approach is as effective as it can possibly be and most of our clients are satisfied with the results. Greenskeeper highly recommends spraying for mosquitoes every 3 weeks. Starting in April and ending in October, around 8 applications. Tick control would be 4 applications and or every 45 days. Protect your family, pets and friends, for as little as $49.95 an application. Eliminate ticks and mosquitoes with our comfort zone sprays. We provide all natural protection as an option. Greenskeeper comfort zone sprays controls ticks & mosquitoes, why use 2 companies when Greenskeeper can do both? Fairfield counties choice for tick & mosquito control.